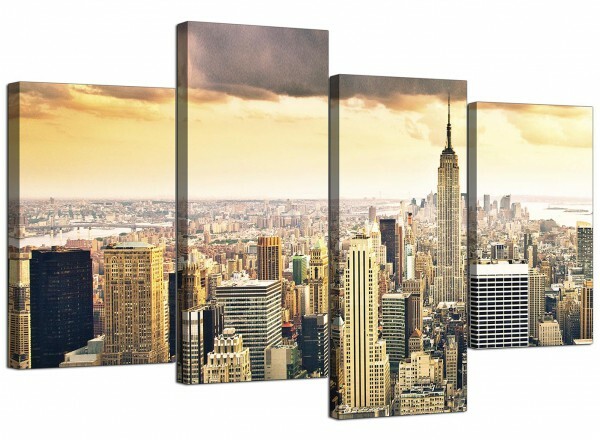 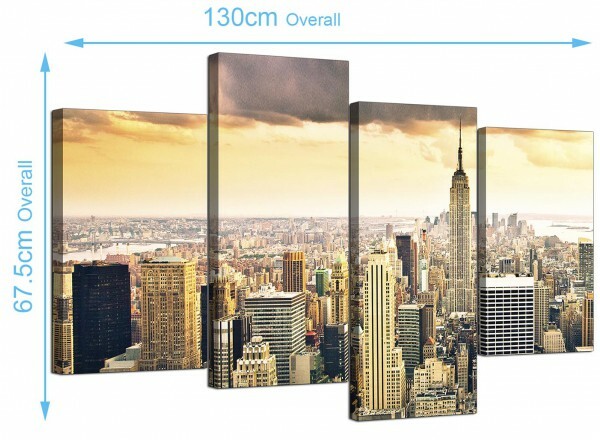 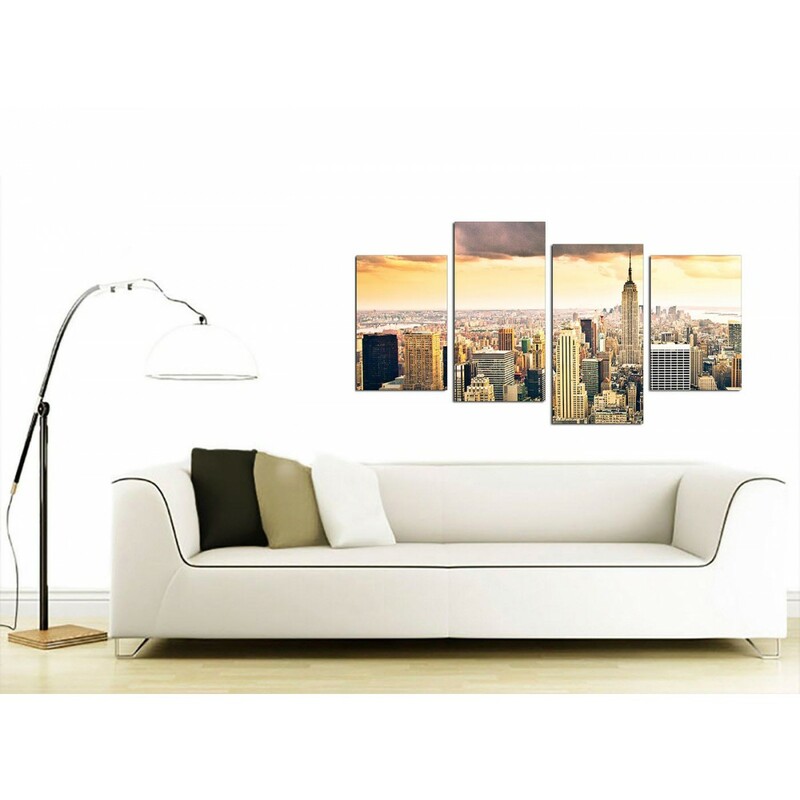 Split canvas pictures of the iconic Manhattan skyline. 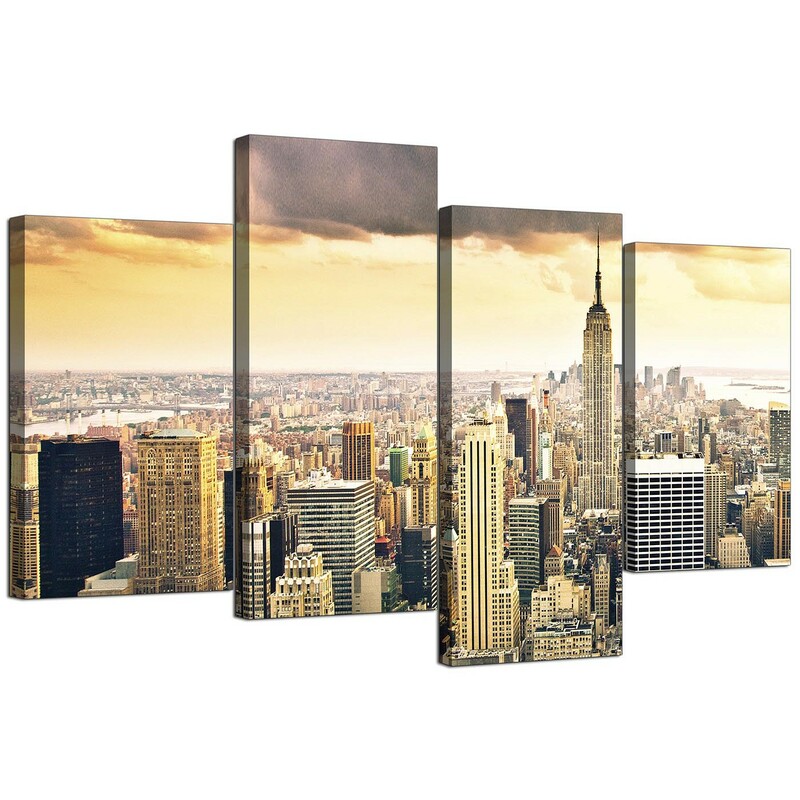 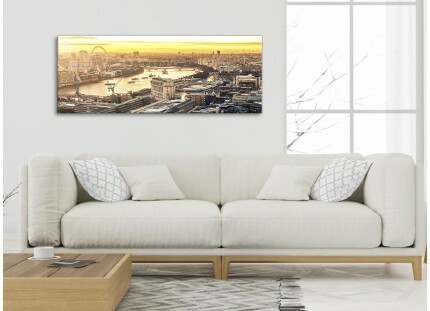 Bring the bustling atmosphere of downtown New York City into your office with one of our affordable canvases. 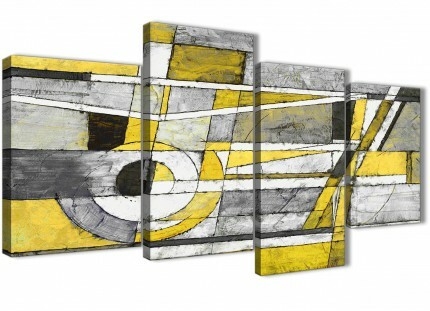 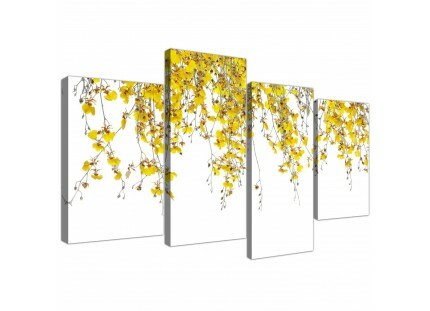 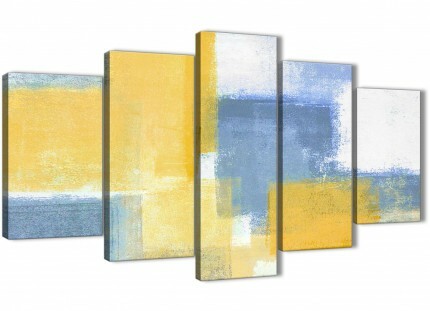 A large yellow contemporary set of four part canvas prints. 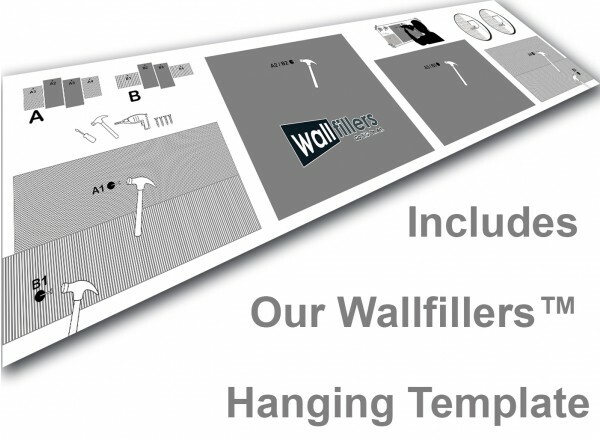 Britain's most dependable wall decor brand. 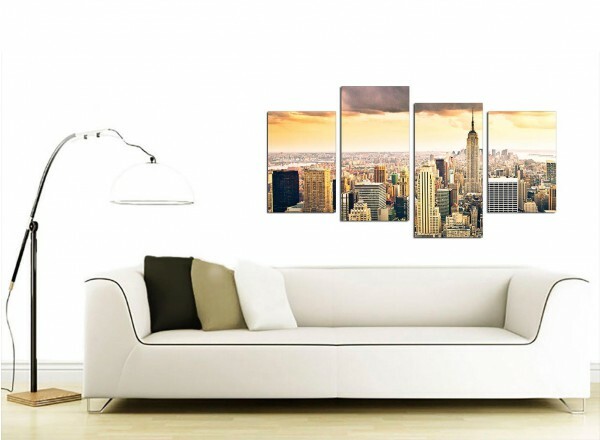 Our wall art is manufactured to the highest standards with fade proof inks. Measurements: 130cm x 67cm (51.2 inch x 26.4 inch) inclusive of spaces. 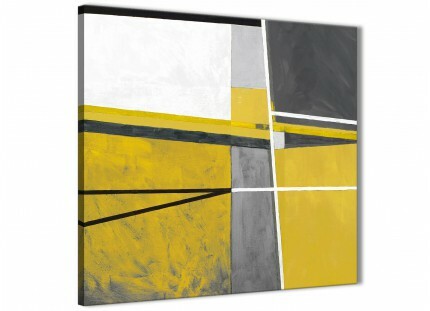 Each of the outside canvases measure 12" x 18". 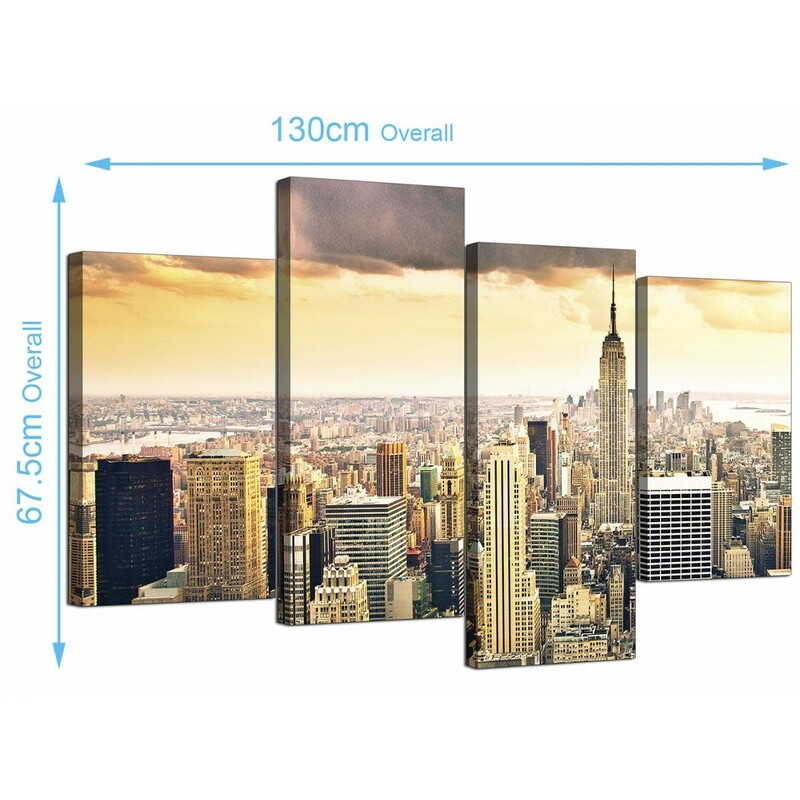 Both inside sections are 12" x 24". 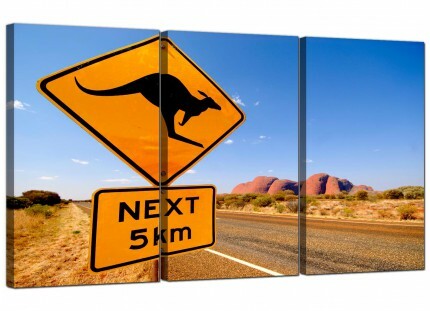 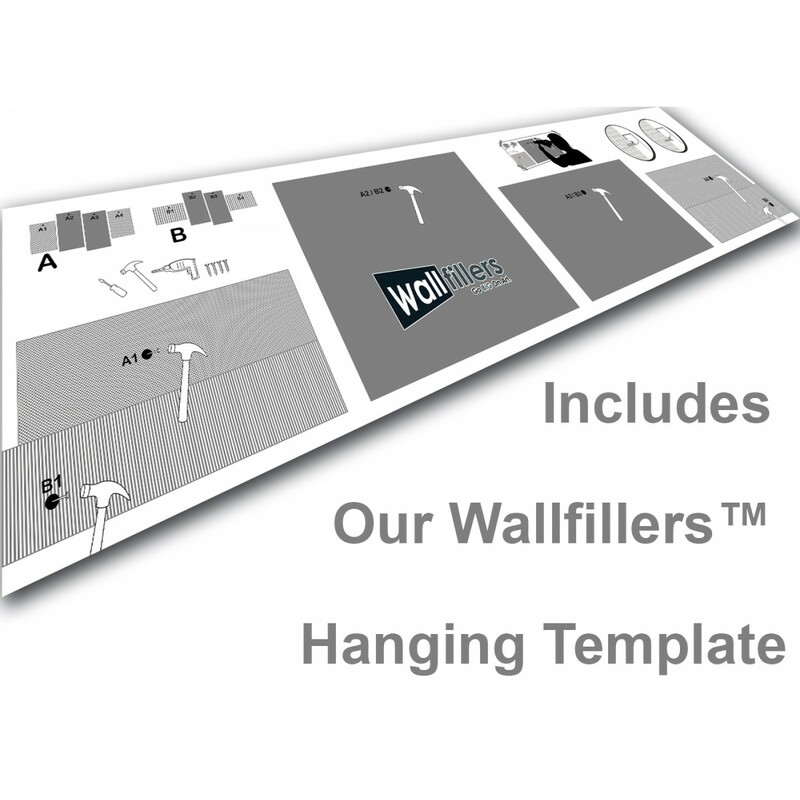 Wallfillers® recommend a gap of 2.5cm between each canvas.